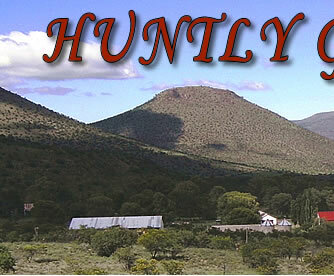 Deep in the Baviaans River Valley in the foothills of the Winterberg range, in the scenic and malaria-free Eastern Cape, lies Huntly Glen. Only 2 ½ hours drive from the airport cities of East London and Port Elizabeth, in the Bedford district, this beautiful farm makes an ideal venue for a week-end getaway. Huntly Glen is the historic home of the family of Thomas Pringle, leader of the 1820 Scottish Settler Party, and 5th generation Ernest and Anne Pringle invite you to share this idyllic spot with them and to learn about the area. 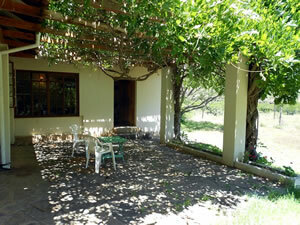 Stay in a restored and fully furnished farm-house. 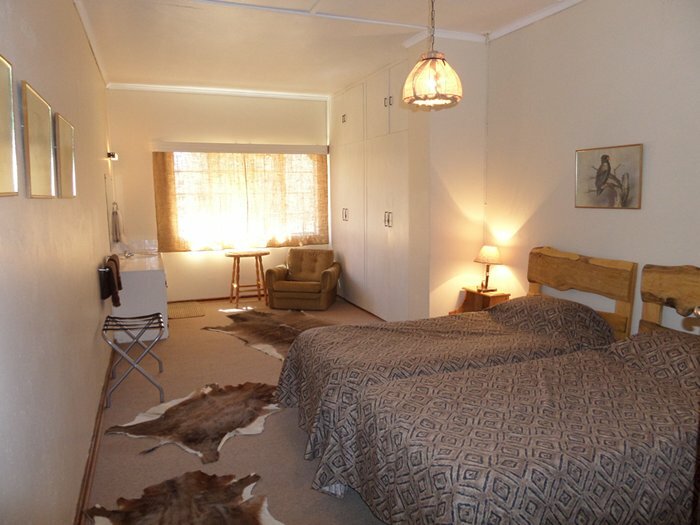 There are 2 bedrooms en-suite, 1 of which is large enough to pass as a “family” room sleeping 4 comfortably and has its own outside entrance, and 2 bedrooms (1 bedroom has a basin in the room), sharing a full bathroom (shower, toilet and basin) plus another separate toilet in the house. The kitchen is fully equipped, and the lounge and dining room each contain their own fire-place for those chilly winter evenings. Enjoy sitting around a cosy fire in the braai/boma area in the evenings and listen to the little scops owl calling or the jackals yipping on the mountain side next to the house. There is a large patio with un-ending views across the mountains which makes for a wonderful area to just sit and relax while watching kudu as they quietly make their way across the opposite mountain slope. 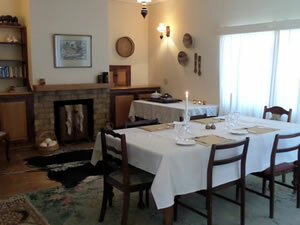 The house is far enough removed from the main homestead to ensure privacy, peace and quiet. 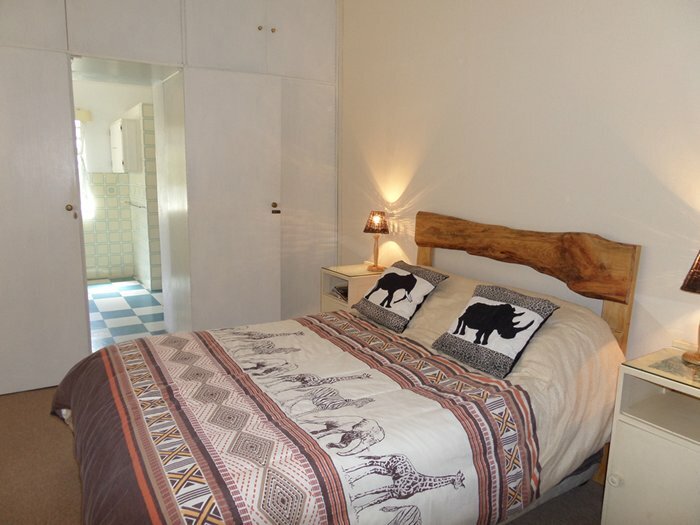 The house is let out on a self catering basis, and is ideal for group bookings as it sleeps 8 – 10 people. Our booking policy means you have the house (and farm) entirely to yourself for the duration of your stay, and even if only 1 couple books the house, other guests are not accommodated at the same time, so absolute privacy is ensured. In addition to the above accommodation, there is a 1 bedroom flat plus sitting room at the main homestead, but which is set far enough away to allow for privacy. All linen and towels are supplied, and the house is serviced daily. We are pet friendly, and small dogs are welcome. For those who do not wish to do self-catering, meals consisting of traditional farm fare, and made with the freshest, organically grown farm produce and meat can be booked.